The label tells a story. New York State’s agriculture industry is one of our great assets. Keeping it growing and thriving is one of the most important things we can do. The New York State Grown & Certified program makes it easy for consumers to identify local, safely-handled, and environmentally responsible agricultural products. 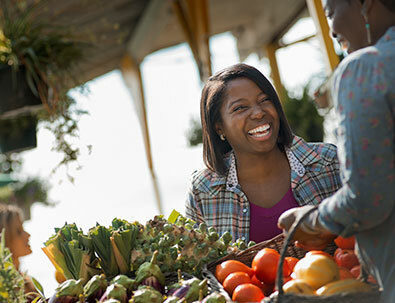 This voluntary program is a cooperative effort among producers, processors, wholesalers, retailers, restaurants, and the New York State Department of Agriculture and Markets to meet consumer demand for high-quality food and agricultural products. This month’s feature spotlights Dutch Hollow Farm in Schodack Landing, Rensselaer County! The more than 40-year- old dairy farm is owned by Paul and Melanie Chittenden, and their three sons, Alan, Brian, and Nathan. Together, they proudly manage their 900-Jersey cow herd in every aspect --from caring for the calves and growing feed to overseeing bookkeeping. Jerseys, a breed of small dairy cattle, were originally bred in the English Channel Island of Jersey and are known to provide milk with a high butterfat content - great for making cheese and butter! The Chittendens get lots of help on the farm from other family members including Alan, Brian and Nathan's children, who are all involved in the day-to-day operations and will one day be the next generation to run the farm. Dutch Hollow also employs 12 people, who are integral to the success of the farm and the boost it provides the local and regional economy. In fact, Dutch Hollow has one of the largest Jersey herds in the Northeast. Family members have also held top posts in regional and national Jersey organizations. The family has been twice honored with the American Jersey Cattle Association’s most prestigious honor, the Master Breeder Award, earned by Paul in 2012 and his father, Stanley, in 1983. The farm is well-known across the United States and beyond for their outstanding genetics. The farm is a member of Agri-Mark, a farmer-owned cooperative that produces dairy products under the McCadam Cheese and Cabot Creamery Co-operative labels. In addition to supplying milk to the Agri-Mark cooperative, the Jersey cows at Dutch Hollow Farm provide milk to two other New York State Grown & Certified dairy processors: Hudson Valley Freshand Beecher's Handmade Cheese - NY. Looking to buy fresh, local products? New York State’s agriculture industry is one of our great assets and keeping it growing and thriving is one of the most important things we can do. When you see products with the New York State Grown & Certified seal, you are assured that it comes from a local farm that adheres to high food safety standards and environmentally responsible practices. Why join New York State Grown & Certified? Participating in New York State Grown & Certified tells consumers that you adhere to higher standards in terms of food safety and environmental stewardship, making consumers more likely to purchase your products. 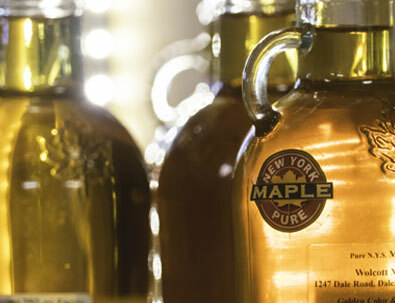 Bring New York State Grown & Certified to Your Customers. 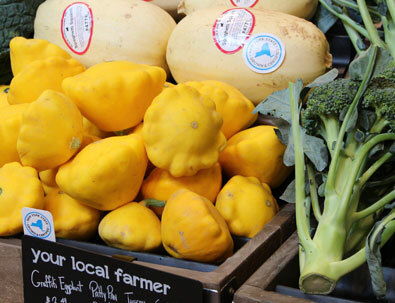 Meet your customers’ growing demand for foods that are locally grown and produced with higher standards. Whether you are a grocery retailer or a restaurant in New York State, it’s easy to connect with New York State Grown & Certified growers and producers. New York City restaurants demand incredible, locally grown ingredients. With Governor Cuomo's New York State Grown & Certified program they can be confident that the products they purchase and serve are locally grown and produced to a higher standard. Melanie Wickham Executive Director, Empire State Potato Growers Inc.
New York potato growers are stewards of the environment using innovative strategies to protect our land and water. They utilize sustainable crop management practices and the newest varieties. Most are GAP certified, ensuring consumers are getting potatoes that are grown using good agricultural practices and following food safety guidelines. A vehicle like the New York State Certified Program provides consumers assurances and reminds them that New York potato growers share their commitment to quality and food safety. The New York State Certified Program sets voluntary standards that will provide a significant marketing advantage to farmers who participate. Retailers will want to offer these products to their customers because it sets the gold standard for both food safety and environmental stewardship. Meeting and exceeding food safety standards for the New York apple industry is standard procedure, and having a New York State Grown & Certified program to now identify those practices is yet another tool that New York agriculture can be proud of. …The New York State Restaurant Association proudly supports Governor Cuomo’s new initiative—New York State Grown & Certified—so consumers can feel more confident about what they eat and where they are eating, and to provide a real benefit to New York State’s food industry.